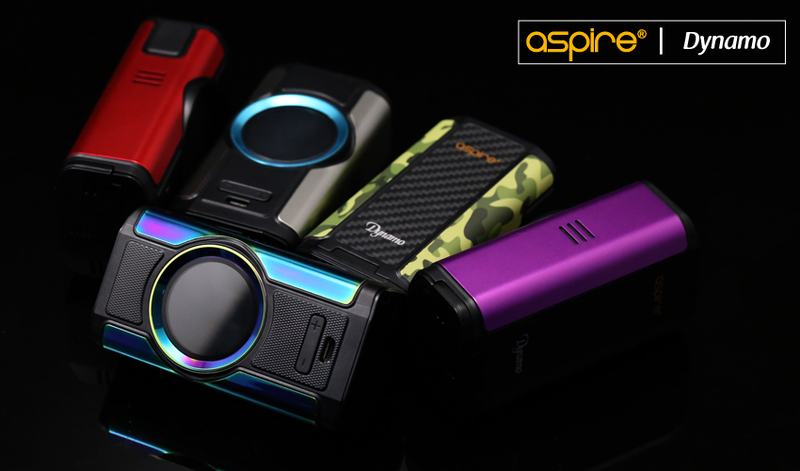 Aspire brings you yet another great new powerful mod, following on from the success of the Speeder, and Skystar dual battery mods we now bring you an even more powerful, more up to date and flexible mod, the Dynamo. 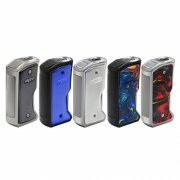 The Dynamo is a 220 watt mod with a 2.0 inch TFT color screen. 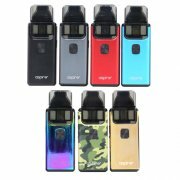 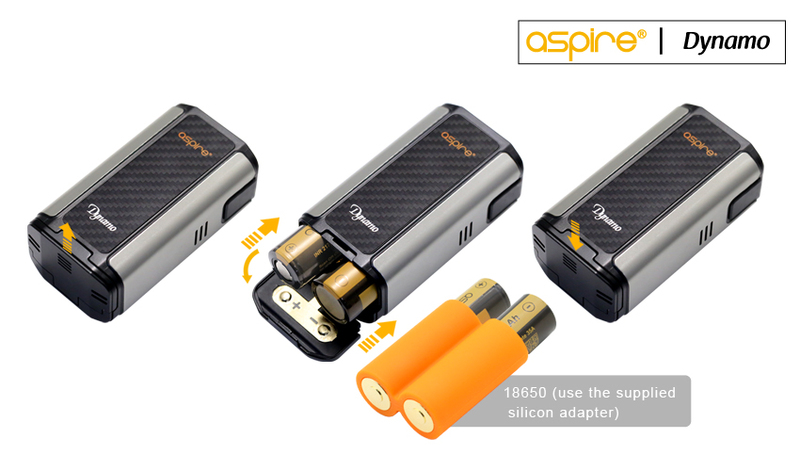 It is a dual battery mod and for even more flexibility and accepts 20700,21700, and 18650 batteries using the supplied silicon adapter. 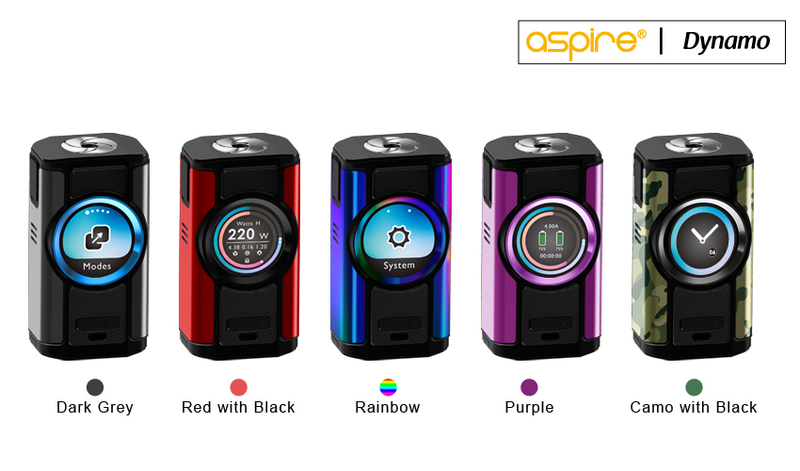 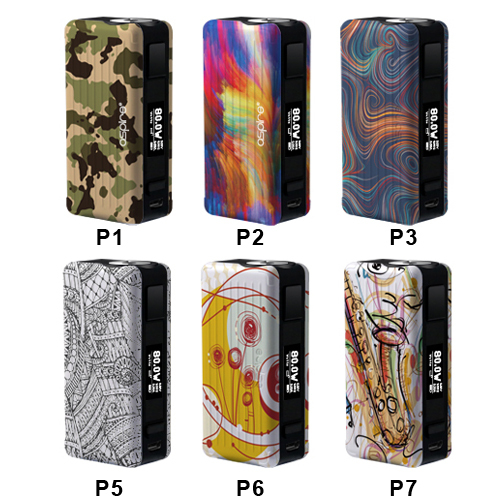 As with our previous mods of this type, it comes with every function you have come to expect from Aspire. 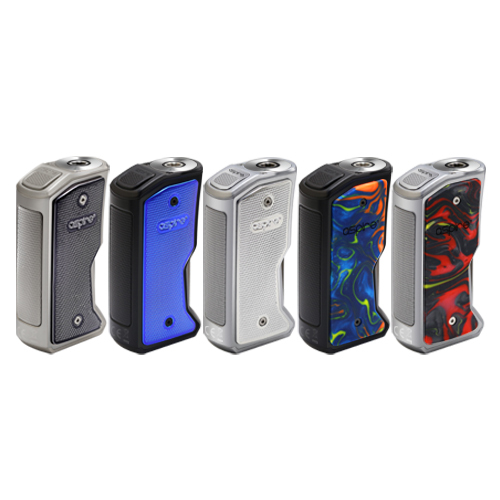 Wattage/Voltage/BYPASS/TC(Ni,Ti,SS,M1,M2,M3) and CPS (Customizable Power Settings). Its rounded corners make it very ergonomic in the hand, and easy to operate all the functions with just one hand, an absolute joy to hold. 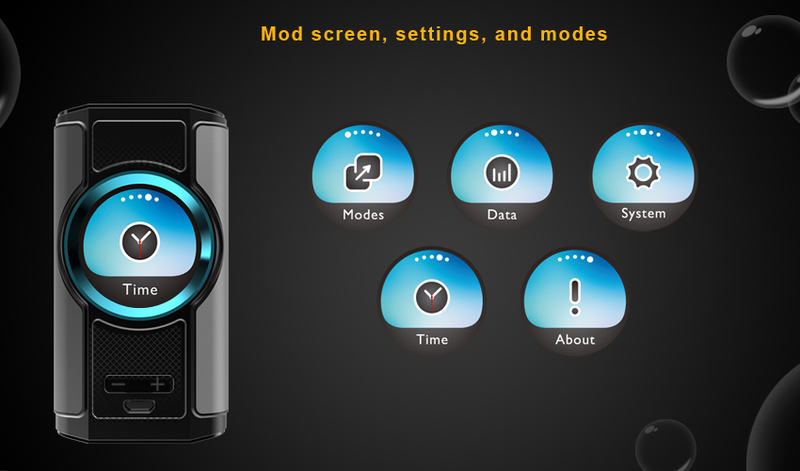 Turn off the MOD and remove tank. 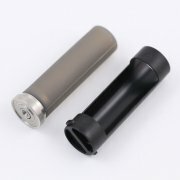 Pull the lock catch to allow the battery door to open. 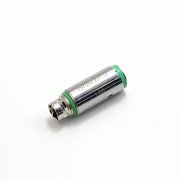 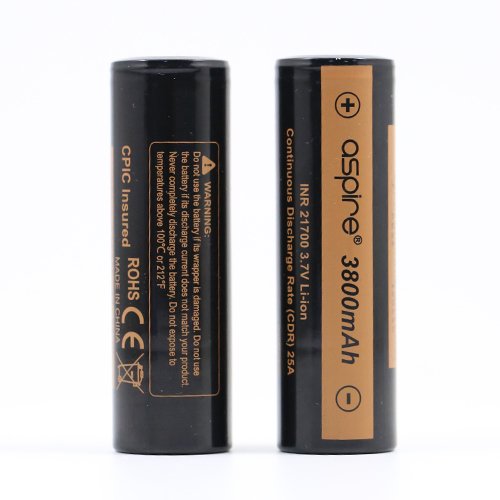 When replacing the batteries, please pay attention to the correct positive and negative connections. 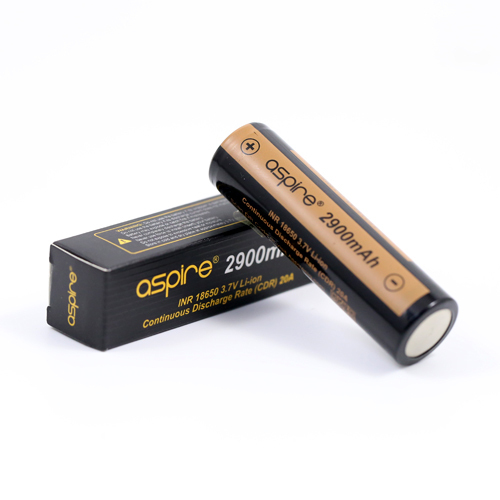 Then insert the battery of your choice, 18650 (use the supplied silicon adapter), 20700 or 21700. 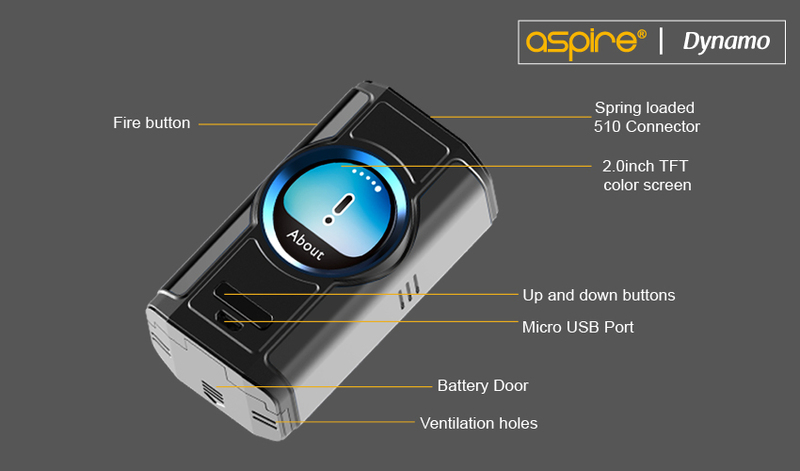 Insert the batteries as seen in the diagram and close the battery door, ensuring the door catch is securely fastened. 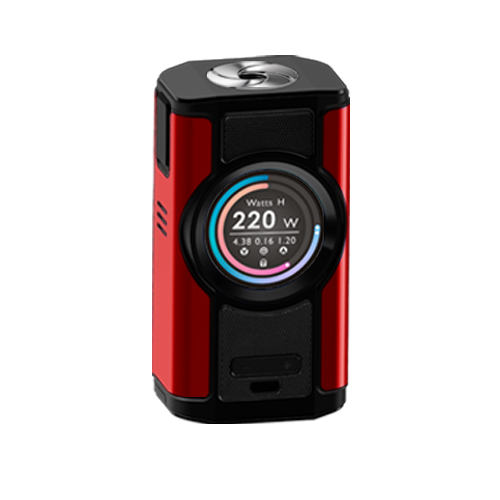 The very clear, large circular screen and interface allows access to adjust the values of different output modes, Data, System, Time and About. 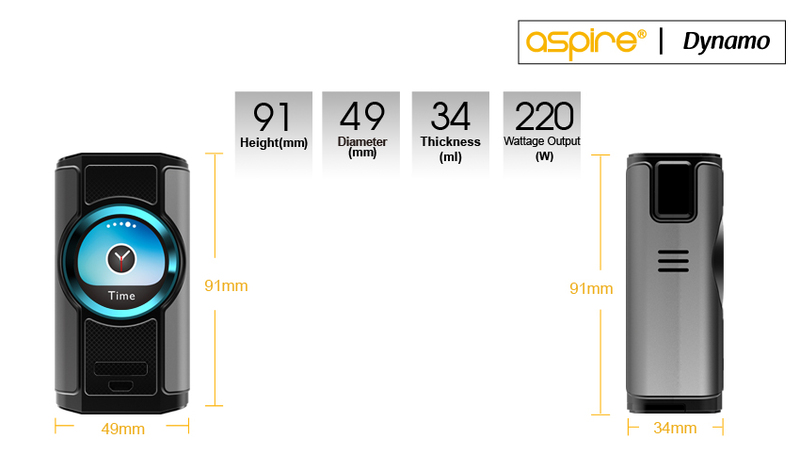 Simple to navigate and easy to see. 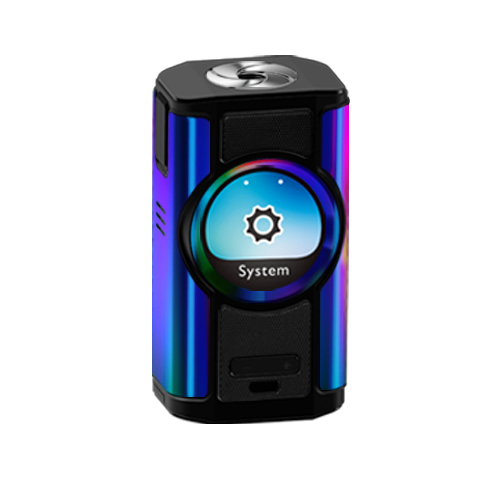 Press fire button to enter. 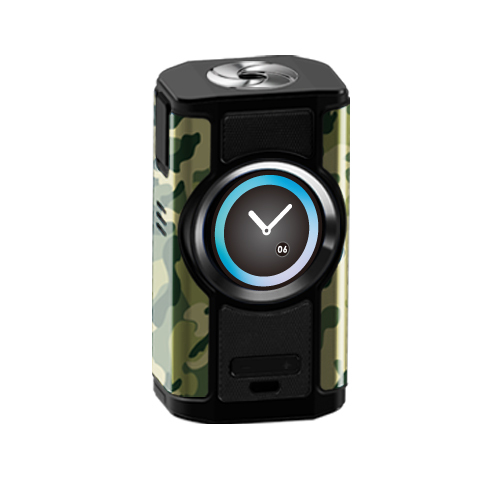 When you are in “Time Set”press fire button to choose the value you want to adjust, press up or down button to change the values and turn on or off the watch. 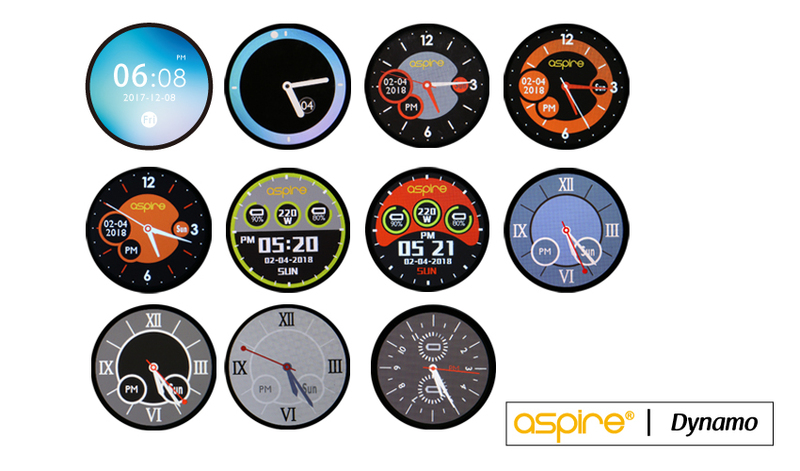 Enter Watch UI to choose your preferred watch UI displayed on your mod, we’ve created 11 different types of Watch UI to expand your choices. 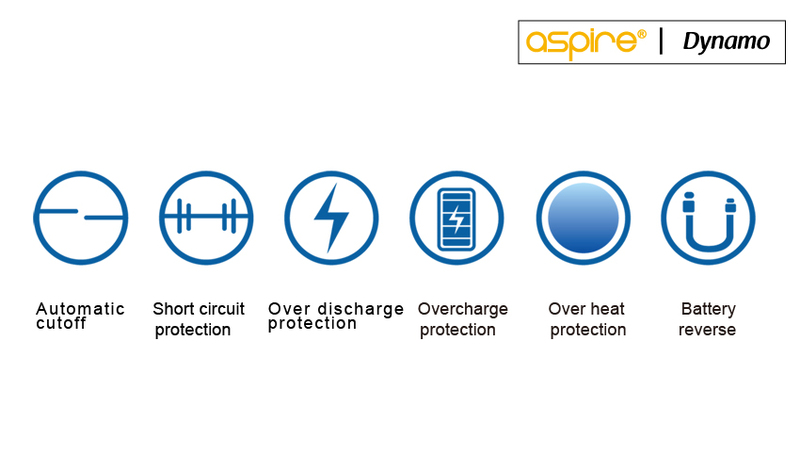 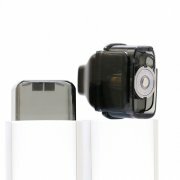 The Dynamo kit comes with all the safety features that Aspire is famous for. 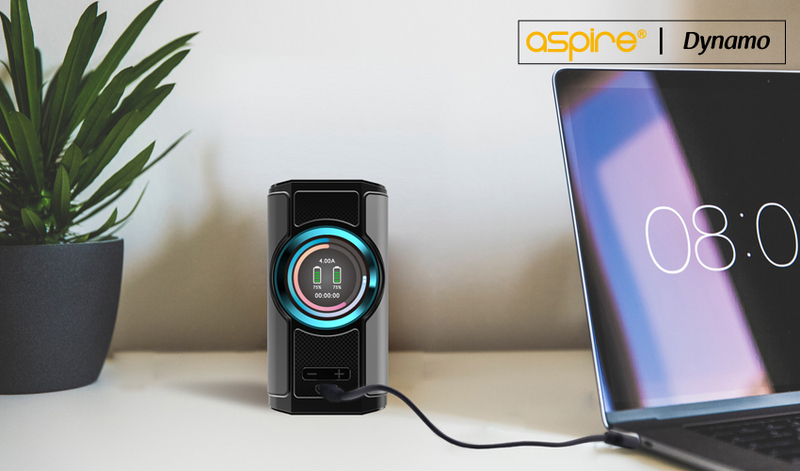 Charging the mod via Micro-USB charging port, the charging current can reach up to 2A. 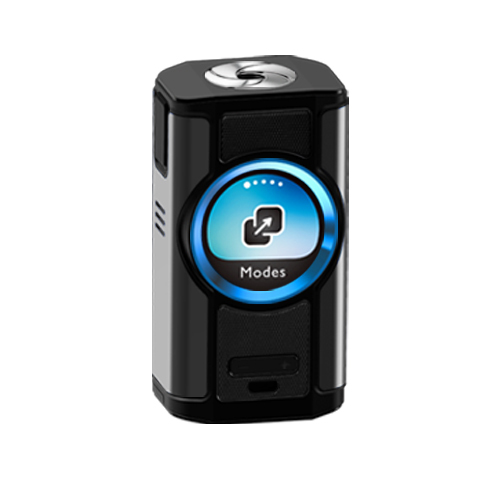 When connecting the mod to the charger, the screen will display two growing battery icons with the 2 circular rings around the screen edge showing a rotary movement when charging. The screen also displays the battery percentage, charge time and charge current. 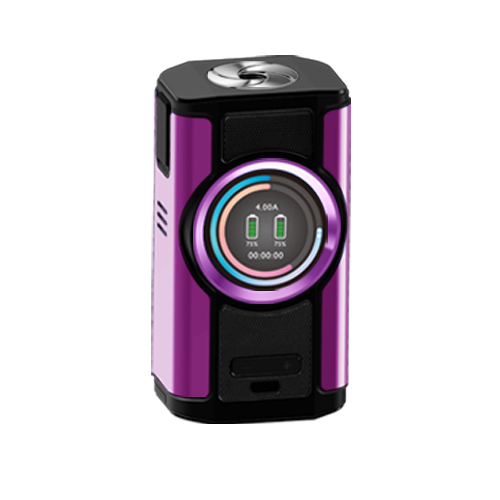 Once the battery level reaches 4.2V or when it’s fully charged, the mod will stop charging the screen will shut off. 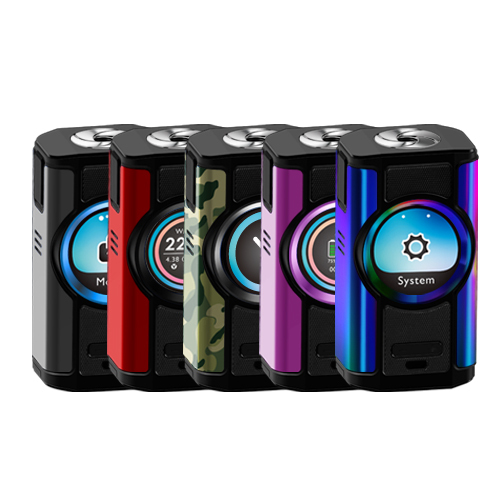 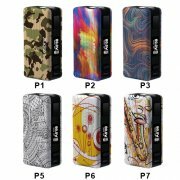 The mod will not charge when the batteries are incorrectly installed or when there’s only one battery installed. 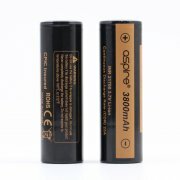 The batteries cannot be replaced while charging, please unplug the charging cable before changing the batteries.